A fabulous show for Opera virgins or aficionados alike. 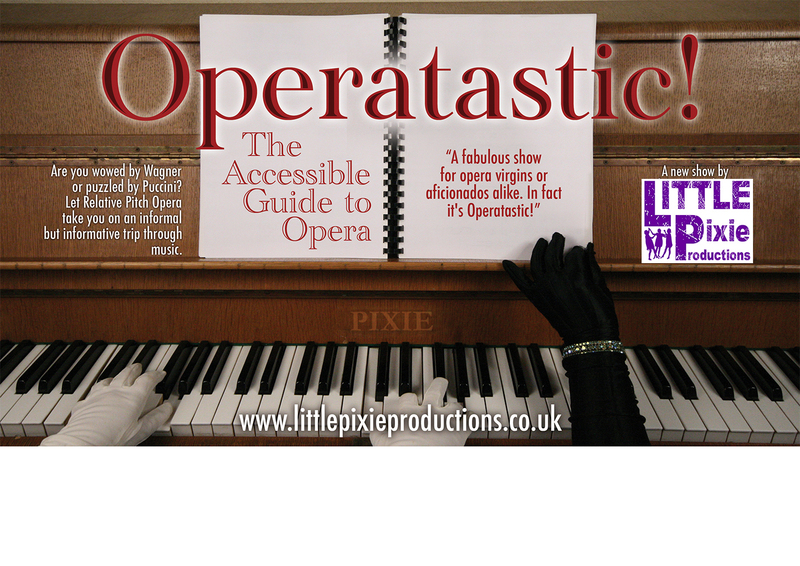 In fact it's Operatastic! Are you wowed by Wagner or puzzled by Puccini? Let us take you on an informal but informative trip through music, featuring a professional opera singer, a pianist and an actor. Suitable for theatres, churches, rural touring venues, music societies, corporate events, music and theatre festivals. We also offer opera based workshops. Listen to Helena Leonard sing, accompanied by Carl Penlington-Williams.